Are you considering converting your tank style water heater to a tankless style? 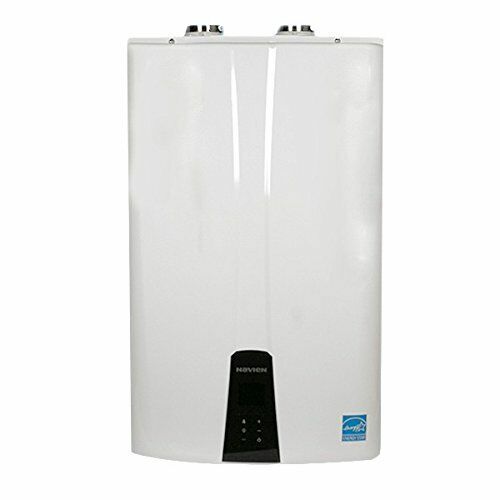 At Robins Plumbing, Inc. we understand the several reasons to consider upgrading your storage tank style water heater with a tankless gas water heater in Phoenix. When clients consider converting their water heater to a tankless some of the reasons they are considering it are space savings, never running out of hot water and having hot water on demand. Space savings is usually at the top of the list. As water heaters have had to improve in energy efficiency the size and cost of tank style water heaters has increased. Many homeowners are finding themselves in the predicament of tank style water heaters no longer fitting in confined spaces and are looking for space-saving alternatives. Space savings for clients means more room for the other things they love in the garage or other rooms. Endless amounts of hot water are another perk of converting to a tankless style water heater. Storage tank style units are sized by gallon capacity. The most common water heater sizes for residential homes are 40 and 50 gallon tanks. These tank sizes are adequate the majority of the time for most homes, however when families are using multiple plumbing fixtures at once, they quickly discover the limited ability of their water heater. If you find that two people can’t take a shower one after the other, you are likely a great candidate for the endless supply of hot water provided by tankless water heaters. Hot water on demand is another great feature of tankless water heaters. Your tankless unit won’t turn on and use energy until you need hot water, it instantly turns on and provides hot water at the moment you need it. This feature eliminates timers for clients that are concerned with the high cost of heating water all day and night when they are not using it. A misconception is that instant hot water means that you will have instant hot water at your plumbing fixture when it is turned on. This is not the case. The water line from the water heater to the plumbing fixture is still full of cold water, just like it is with a tank style water heater. It will still take the same amount of time to get hot water to your plumbing fixture. If you are looking to have instant hot water at your plumbing fixtures a tankless water heater will not solve this problem, we do have solutions to assist you with this and are more than happy to discuss options with you to lessen the amount of wasted water that is typical while waiting for hot water to get to a plumbing fixture. Some things to consider when thinking about converting to an gas tankless water heater is that you may need to increase the size of your gas lines to handle the additional BTU’s This is not always necessary. Tankless water heaters also have a reduced flow rate of gallons per minute, on average these gas tankless units have a flow of 3.5 gallons of hot water per minute where the standard tank style has a 6 gallon flow per minute. This is typically only evident when three or more plumbing fixtures are running hot water at the same time or you’re trying to fill an extra-large tub, it will take longer to fill the tub with a tankless water heater than a standard storage tank style water heater. Do you want to know if a tankless water heater is the best option for your home and lifestyle? You can call us to schedule a no-obligation consultation with one of our amazing team members. We will guide you through your options as well as make sure you get the highest quality tankless water heater for your investment so you’re satisfied for many years to come. If you’re thinking about switching over to a tankless gas water heater, contact the professional plumbers at Robins Plumbing, Inc today. As a leading provider of water heater repair and replacement services across Phoenix, we’re passionate about helping people find the right water heater solution for their home or business. We specialize in tankless electric water heaters, electric water heaters, tankless gas water heaters, and hybrid water heaters. We can also help with drain cleaning, gas lines, slab leak locating and repair, and more. If you have any questions about our local plumbing company or you’re ready to schedule a service, contact our team today.